The legacy of the one-and-done is alive and well at the University of Kentucky. It's going to be that away as long as John Calipari continues to recruit top talent. 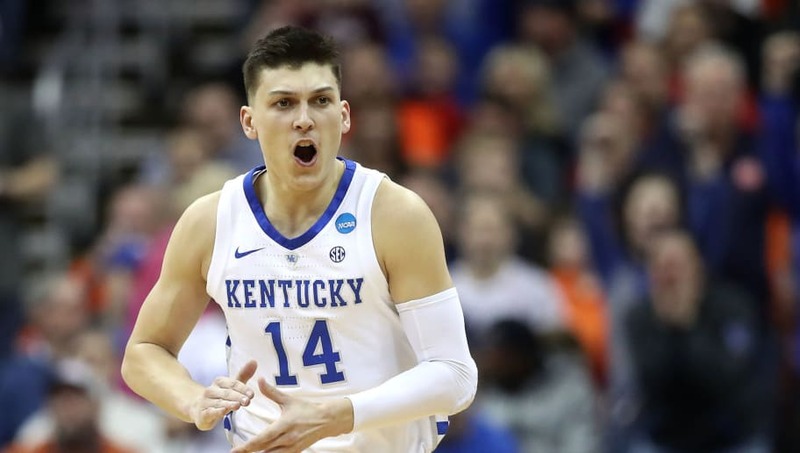 Tyler Herro is the latest star to be potentially making the jump from Lexington to the pros. Herro will use the new rule, which allows prospects to attend the NBA Combine before making a final decision, to his advantage as he makes the important choice regarding his future. Something to consider is that potential pros can now hire agents even if they have not ruled out coming back to school. NEW: There are a lot of moving pieces with Kentucky’s 2019-20 roster. Spent a couple days on the phone trying to sort it all out. Herro was a hero for the Wildcats in their game against the Houston Cougars in the Sweet 16, ​hitting the game-tying three-pointer to bring Kentucky back in it with under a minute to go. They would eventually win the game before falling to Auburn in the Elite 8. If he chooses to leave the program for the NBA, Herro would be joining teammates PJ Washington and Keldon Johnson in the draft.